12/8/2017 - Integrate InspectAll to over 750 Apps and Services! Many of you may know that the InspectAll platform is built on an API (Application Programming Interface). What this means is that you have full access to all of the services, features, and functions that we use to create our mobile and web apps. Using the API you can pull or send any data from InspectAll; allowing you to do deep integrations with whatever ERP/CRM or other line of business software you use. Just go to our API docs to learn more. 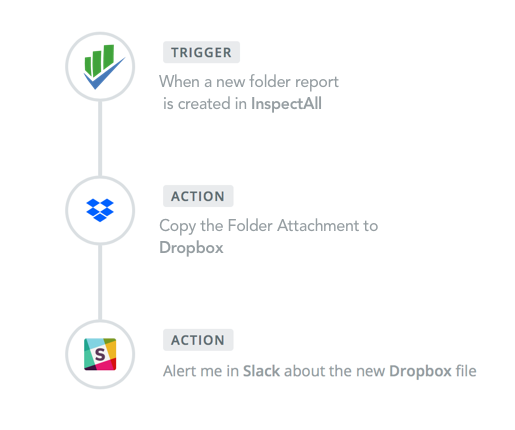 To learn more about our Zapier app and integrations in general visit our help docs on integrations.